Troublesome case causing HTC One Mini supply shortages? HTC may not be able to supply enough HTC One Minis to meet consumer demand, a shortage the Taiwanese phone maker can't afford. Problems in HTC's supply chain, particularly with the HTC One Mini's casing, will soon cause supply shortages, according to Reuters report. The HTC One Mini's chassis is reportedly in short supply thanks to "design difficulties," the exact nature of which are unknown. Another source told the site that demand for HTC's miniaturized flagship can't currently be met, despite analysts' expectations that the company plans to ship just 200,000 of them per month. 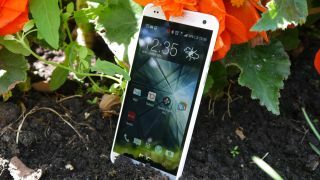 In TechRadar's HTC One Mini review we gave the smaller HTC One a well-earned 4.5 out of 5 stars, calling it "a cutting edge smartphone that takes all the great elements from the world's best handset and crams them into a smaller frame." We asked HTC for comment about any supply chain difficulties, but a company representative informed us that they have nothing to add. The HTC One Mini isn't the only HTC One spin-off up the company's sleeve, if all the recent HTC One Max rumors are any indication. That enlarged version of the HTC One is said to be a phablet with a fingerprint scanner, but there's been no official reveal yet. Check out the latest on the HTC One Max - a massive photo leak that shows it off every which way.